ROCK HILL, S.C. – Radford coach Mike Jones had a pretty visceral reaction when he first saw his team’s 2016-17 Big South schedule. 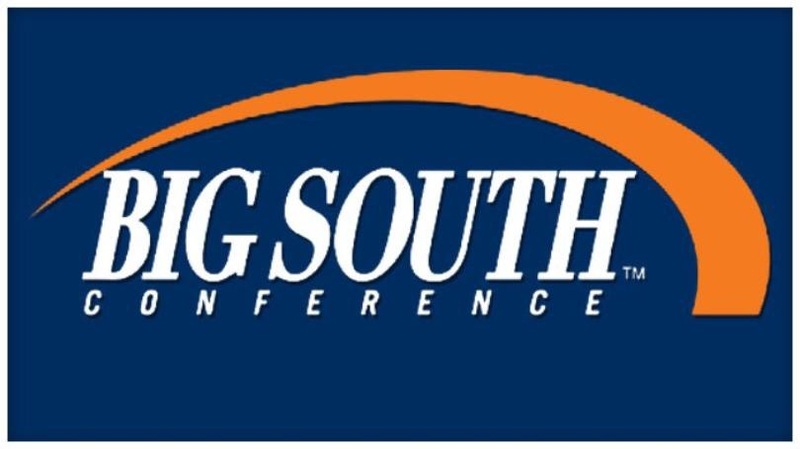 “I was sick to my stomach when I saw the schedule come out,” joked Jones, realizing that his Highlanders would face both participants from last season’s Big South championship game to start the league slate. Chances are, the rest of the league is going to be pretty sick when facing his Highlanders. Radford knocked home 16 of 33 tries from three-point range and made timely shots all day, fighting off Winthrop – and 37 points from preseason Big South Player of the Year Keon Johnson – in front of 1,199 fans in Winthrop Coliseum Saturday afternoon. The Highlanders battled the homestanding Eagles in a tug-of-war for much of the first half, before a burst by Jones’ club created some separation. Radford (7-7, 2-0 Big South) went on a 10-1 run over a three-minute span to open an 11-point lead, capped by a jumper by Ed Polite Jr. Winthrop (9-4, 1-1) quickly countered, going on an 8-0 run of its own. The Highlanders eventually took a five-point lead to the locker room. Winthrop’s Xavier Cooks started the second half much as he started the first, scoring his team’s first five points of the period after scoring the first six of the game. Cooks picked up a technical foul four minutes into the period while arguing over a non-call, however, restricting him to the bench for five-plus minutes of game action. The Eagles kept the game close in the absence of their junior star, but it seemed every time they were in position to tie or take the lead, the Highlanders knocked down another key shot. In one of those instances, a Johnson layup sliced the lead to just two points, but another 13-2 Radford run extended the lead back to 13. Winthrop again chipped away at the lead, as Kelsey mentioned, gradually returning the lead to just two, but a Justin Cousin three moved the Radford advantage back to five with 1:20 to play. The Eagles had two more attempts to tie the game after a Highlander miss, but neither three-point attempt would fall, and a Sterling Christy dunk with 16 seconds to play all but sealed the Radford victory. Radford placed four players in double figures, paced by guard Caleb Tanner’s 20. Tanner converted on 7-of-16 tries, including 5-of-12 from beyond the arc. Cousin joined Tanner in thriving from distance, pouring in 19 points on 6-of-10 from the field (6-of-9 from three). The tandem’s success was something for which Kelsey’s club had prepared, but the duo still combined for nearly half their club’s points. “Both guys that you don’t want to get rhythm threes, one got 16 attempts off (Tanner) and one (Cousin) got 10 attempts off,” said Kelsey after the game. Cooks scored 17 to join Johnson as the only Eagles in double digits. Both teams return to Big South play Wednesday. Radford will host Gardner-Webb in the Dedmon Center for a 7:00 (Eastern) tip. Winthrop will travel to High Point. That game is also slated for a 7:00 start. RADFORD (7-7, 2-0 BIG SOUTH): Bradford 3-10 0-0 7, Hicks 1-4 1-2 4, Cousin 6-10 1-1 19, Polite Jr 4-10 5-6 13, Phillips 0-3 0-0 0, Tanner 7-16 1-1 20, Holland 1-2 0-1 2, Christy 1-2 0-0 2, Lutete 4-7 2-4 13, Bolstad 1-2 0-0 2. Totals 28-66 10-15 82. WINTHROP (9-4, 1-1): Perkins 1-6 2-2 5, Johnson 12-26 10-11 37, Cooks 7-9 1-2 17, B. Broman 1-4 0-0 3, Prescott 0-1 0-2 0, Okeke 1-1 0-0 2, A. Broman 1-4 0-0 3, Pickett 0-1 1-2 1, Ferguson 2-2 1-1 5, Davenport 3-6 1-3 7. Totals 28-60 16-23 80. Halftime—Radford 43, Winthrop 38. 3-Point Goals—Radford 16-33 (Bradford 1-3, Hicks 1-3, Cousin 6-9, Polite Jr 0-2, Tanner 5-12, Lutete 3-4), Winthrop 8-23 (Perkins 1-3, Johnson 3-10, Cooks 2-3, B. Broman 1-3, A. Broman 1-4). Fouled Out—None. Rebounds—Radford 40 (Cousin/Polite Jr/Lutete 6), Winthrop 36 (Davenport 8). Assists—Radford 20 (Bradford 7), Winthrop 7 (Johnson 3). Total Fouls—Radford 20, Winthrop 12. Technical—Cooks. A—1199. Points in the Paint—Winthrop 34, Radford 20. Points off Turnovers—Winthrop 17, Radford 14. Second-Chance Points—Radford 15, Winthrop 6. Fast Break Points—Radford 4, Winthrop 2. Bench Points—Radford 39, Winthrop 18.